Quantum computers are hypothetical devices with higher computational power than a traditional computer. The classical system involves bits as the smallest unit of data, that is represented by 0 or 1, while quantum computers are made up of quantum bits, also known as qubits. Unlike the conventional computer, where a bit has to be either 0 or 1, quantum mechanics grants a qubit to be in both the states at the same time. A qubit would be represented as 0 and 1 simultaneously, a hallmark which is rudimentary to quantum computing. Although quantum systems with 12 qubits have been demonstrated in the lab but getting quantum computers to work on an industrial scale is the problem. After all, miniaturizing qubit technology is far too complicated than miniaturization of transistors enabled current computers. 1) Ion traps: A combination of electric or magnetic fields used to capture charged atoms or molecules. 2) Optical traps: It makes use of a highly focused laser beam to trap and control particles. 3) Quantum dots: It is a semiconductor crystal of nanometre dimensions that is used for confining and manipulating electrons. 4) Semiconductor impurities: It makes use of electrons by utilizing unwanted atoms that are present in a semiconductor material. 5) Superconducting circuits: It enables the flow of electrons with least resistance at very low temperatures. Generally, the ion traps are extensively studied qubit technology. Ideally, it makes use of huge and extremely complex hardware apparatus. However, researchers from MIT and MIT Lincoln Laboratory have created a preliminary version of a chip that can confine ions in an electric field. The microsystem also consists of built-in optics and direct laser light. The conventional assembly consists of a barrel filled with vacuum. Inside this cylindrical container, a cage-like structure – cage trap- is placed for trapping ions. Then the external optics are employed for directing the rays of lasers towards the assemblage of ions. Researchers behind the prototype chip are looking forward towards creating a miniature sized external lab directly onto a chip. Traditionally, an ion trap resembles a micro cage where an electric field is created by the bars since they act like electrodes themselves. Ions are assembled somewhere at the center, quite parallel to the bars. Scientists at Lincoln Laboratory developed similar but micro ion traps called the surface traps. It is a chip embedded with electrodes. And instead of assembling at the center, the ions float above the electrodes, at a micro height of 50 micrometers. Cage traps essentially have a pre-defined space and holding capacity, however, theoretically, surface traps can be extended indefinitely. Much like the current technology, the traps have to be held in a vacuum chamber, but surface traps or the microchips allow squeezing off much more qubits within. Researchers behind the technology believe that the surface traps have potential of scaling new heights. And soon large scale quantum computing won’t be a far fetched dream. They added that the cage traps are performing well but they max out after crossing a limit of 10 to 20 ions. In order to carry out a quantum computation, accurate controlling of a particular energy state of each (trapped-ion) qubit is mandatory. And this controlling is done via laser beams. In the case of surface traps, the ions are positioned at a distance of 5 micrometers with each other. Even at this distance, hitting single ion with an external laser, without influencing its neighbors, is extremely tough. Although attempts have been made in the past but without any significant progress. Recently, Ram and Karan Mehta, two MIT researchers, dared to move ahead in the similar direction. They created a suite of on-chip optical components, which could channelise laser light to individual ions. Scientists from Lincoln Lab, re-shaped their surface trap to blend in the optical components without compromising its performance. Finally, the groups collaborated in designing and executing the experiments to test the new system. 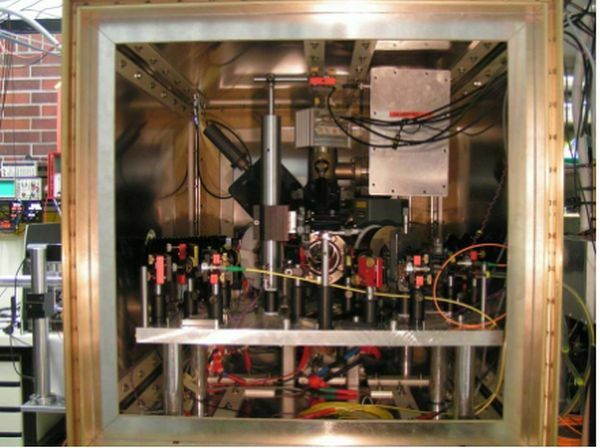 In the case of surface electrodes, the shaft of laser ray that is beaming from an optical table might vibrate upon entering the system. Thus, disturbing stability but with photonic integration, the concern is nullified since the entire system is on the same platform – the optics as well as the electrodes. All the required tools or devices are working on the same chip and consequently it is more stable. The revolutionary chip is developed on a quartz substrate. On top of quartz, there is a mesh of silicon nitride waveguides for routing laser beam through the chip. A glass film is placed above the waveguides followed by niobium electrodes. Right under the cavities in the electrodes, the waveguides are divided into pieces of sequential ridges. This network – or diffraction grating to be more precise – is done so that a beam of light directly goes into the holes and targets an individual ion, that is floating 50 micrometers on top of the surface of the chip. Currently, the researchers are experimenting and observing diffraction gratings and the ion traps keeping the amount of light delivered to each ion, as constant. Their upcoming research work involves exploring the influence of light modulators on the diffraction gratings. With this, they would be able to deliver various intensities of light to different qubits. 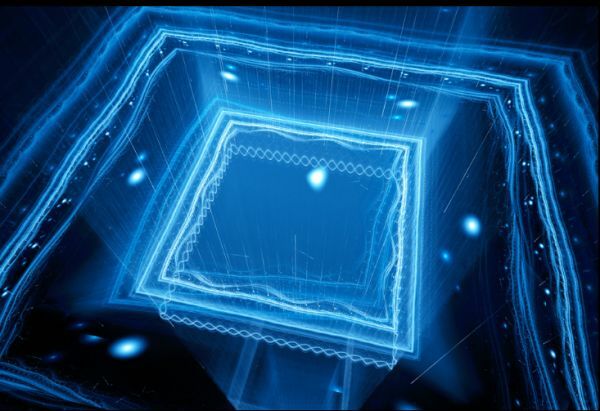 Once the level is achieved, programming qubits will become more efficient, which will lay the foundation for the practical quantum information system.